The Cuzco Valley of Peru was both the sacred and the political center of the largest state in the prehistoric Americas—the Inca Empire. From the city of Cuzco, the Incas ruled at least eight million people in a realm that stretched from modern-day Colombia to Chile. Yet, despite its great importance in the cultural development of the Americas, the Cuzco Valley has only recently received the same kind of systematic archaeological survey long since conducted at other New World centers of civilization. 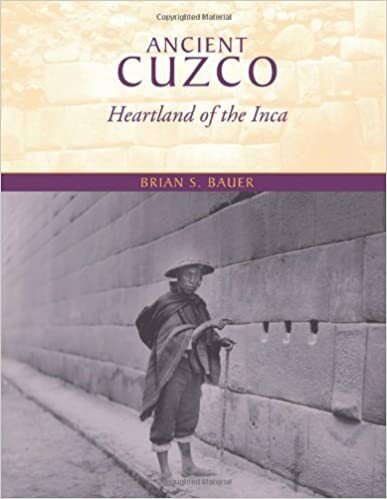 Drawing on the results of the Cuzco Valley Archaeological Project that Brian Bauer directed from 1994 to 2000, this landmark book undertakes the first general overview of the prehistory of the Cuzco region from the arrival of the first hunter-gatherers (ca. 7000 B.C.) to the fall of the Inca Empire in A.D. 1532. Combining archaeological survey and excavation data with historical records, the book addresses both the specific patterns of settlement in the Cuzco Valley and the larger processes of cultural development. With its wealth of new information, this book will become the baseline for research on the Inca and the Cuzco Valley for years to come. the lords whom they represented. After the death of the lords, the idols were kept with their bodies, and both the bodies and the idols were always respected and served equally. The idols were kept very well dressed, and during the less solemn festivals, when the occasion did not warrant bringing out the bodies of the lords, their guauques or images were brought out. This custom was so ancient that if it was not a fabrication of theirs, it must date from the time of their earliest recollections.